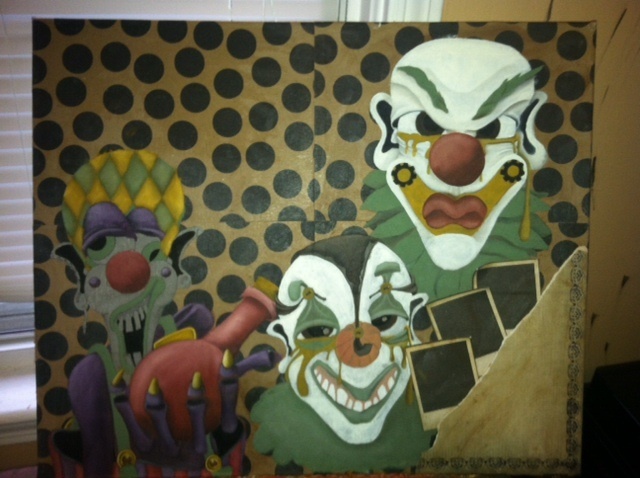 I have been working on this clown cluster for about 3 days and only that long because painting is going slow. Sometimes it does that. I finally got into it by the time I made it over to the purple clown. Each one still has lots of detail work to be done but I wanted to show you the progress so far. This one measures 20 inches x 24 inches!!! Enjoy! Previous Post More snow = More creative time!! !